A quick glance into the tech sphere might have you believe that 360 video and virtual reality are two cosy peas in a pod, with each format offering similar advantages. This isn’t exactly so. Tech is constantly changing the way we communicate with our audience and, as 360 catches up to its older cousin, there are some distinct differences to note. Maybe you want to know which best suits your brand or discover the variety of headsets available? Whatever your interest, one thing that’s clear to see is that both formats are highly effective forms of advertising. But how can they be utilised to make a more interactive experience and what’s the difference between them? Here at Pebble, we think it’s time to don the headset of virtual enquiry (or simply open up your handy 360 browser) and have a good old chat about how you could adopt each medium for your content. Before we delve too deep into the virtual world, we think there’s a little explaining to do. One way to think of the differences between VR and 360 video is by imagining yourself in the supermarket. The aisles of the 360-Mart are tempting to look at but you’re not allowed to pick up any of the produce. Whereas if you’re at the VR-bazaar, you can pick up the produce, mess up that tin display and throw courgettes around to your heart’s content. But, when it comes to these techs, there’s still a myth to bust. For those among us who think 360 only works in film and that VR’s reserved for the dizzying heights of CGI, you could be in for a surprise. In fact, their uses are interchangeable. The 360 video style most of us are familiar with is real-life camera footage. But this isn’t the only thing you can do with 360 – you can, for example, create a great animated 360 experience. In fact, the BBC embraced animated 360 by producing very detailed CGI 360 videos of Ancient Rome to promote ‘Italy’s Hidden Cities’. Not only are these films visually stunning but they offer the viewer the chance to escape to the historic streets of Italy in a fully immersive environment – taking storytelling to the next level. Virtual Reality also offers this sense of immersion but, as 360 development catches up, it has to look for new ways to engage the audience. This tech is traditionally thought of as CGI-based but it can also use real-life footage. One thing worth mentioning is that, due to the more technical nature of developing a VR experience, it is likely to be more expensive and time-consuming than a 360 video. However, with software like Samsung Gear VR rapidly becoming more accessible and open source platforms being available to all, we could start to see more of a downward shift in costs and development timescales. As it stands, each VR headset performs and is programmed differently – an annoying problem for both consumers and developers. You can roughly break virtual reality down into two classes of platforms. Firstly, the top of the range headsets like Oculus Rift, HTC Vive and PlayStation VR – all of which are more expensive and require various other bits of tech in order to use them. These headsets aren’t owned by that many people, so any advertising requiring viewers to have access to them would have a smaller reach. On the other hand, there are mobile platforms, such as Google Daydream and GearVR. These platforms may be better suited for 360 campaigns as well as the occasional VR project. They have allowed VR to become more accessible, mobile and consumer friendly. Google Cardboard has taken this one step further, by providing accessibility and affordability, whilst still feeling immersive. A perfect example is AT&T’s 360 film, ‘A Walk In Their Shoes’. Viewable on Cardboard, it manages to tell an original story from a more unique viewpoint and works whether you have a headset or a simple social browser. 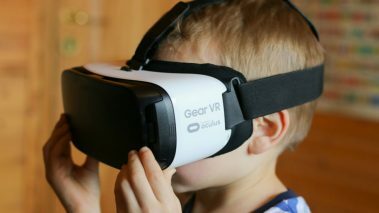 For a film experience like this, a headset like Cardboard could be the best way to connect to the masses. When you’re considering VR vs 360 video, it’s important to remember that storytelling is the key to success when using either technology. In fact, when it’s used properly, we reckon 360 and VR could give J.K. Rowling a run for her money. It’s not about bombarding your viewer with your product, but instead about curating an experience in order to promote your brand. The more interactive and immersive your experience is, the better your story will be told. The main difference between VR and 360 video is that a virtual reality experience provides the viewer with more choice in what they see and do. Born from gaming and entertainment, it makes sense that it is interactive. Compared to VR, 360 can often be thought of as a little limited, giving the viewer a more passive role. Don’t worry too much though, pioneering technologists can still offer interactivity through software like Gaze Hotspots, much like we did in our 360 Bowmore project. Instead of simply showing our audience the oak-aged casks of the Scottish Highlands, we offered them the ability to navigate their way round the distillery simply by looking and, as you gazed on a cask, its history would unfold before your eyes. Excitingly, VR is set to become even more interactive. The tech is still developing, but you may soon be roaming free, both physically and virtually. HTC are set to bring out a new upgrade kit for their Vive headset. This upgrade will cut all ties with previous headsets by allowing users to go wireless. The consumer’s headset will no longer be a potential trip hazard or tether them to one spot. This being said, it’s probably best that you don’t run around near busy roads while wearing the HTC Vive headset. Caution is advised. Taking all this into account in the great battle of 360 video vs VR, 360 content does reign supreme in one area: it is much more accessible and social media friendly. In this day and age, going viral or at least making an impact online is pivotal to a brand’s success. Did your campaign even happen if it wasn’t zipping round the twitter-sphere? Knowing how best to reach your audience is key. Most among us have access to a smartphone and social media channels, allowing us to view 360 video pretty much wherever and whenever we want. Google’s ‘Rain or Shine’ is a perfect example of a 360 experience that increased viewership by targeting the right audience. The advent of cheaper VR tech like Google Cardboard has helped to tackle VR’s accessibility issues, but the fact still remains that headsets are expensive and this tech is yet to reach the majority of people. 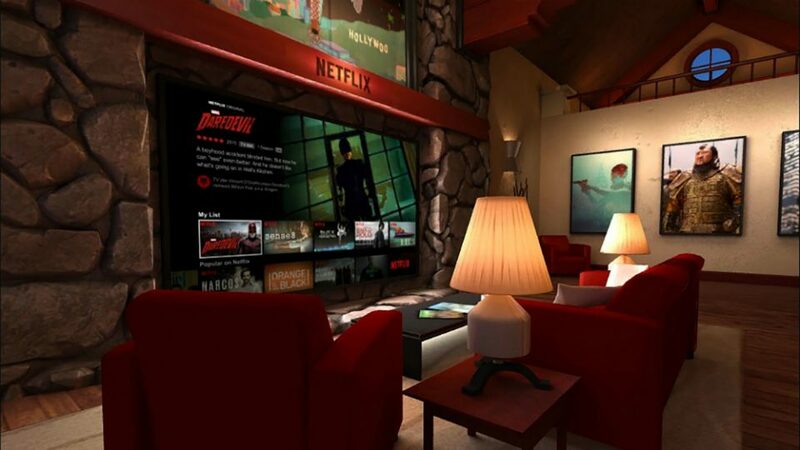 Netflix have attempted to break down the accessibility issue; creating an app in partnership with Samsung Gear VR, it allowed its viewers to Netflix and roam. As well as providing a clever space-saving solution, Netflix were able to reach the tech-savvy millennial audience who are quick to adopt anything new and live almost exclusively online. VR may not be ideal for social media channels, but it is becoming increasingly successful in other areas of advertising. 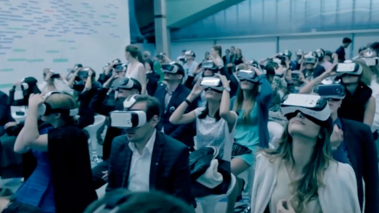 One way brands seem to be using VR is by creating one-off exclusive experiences. Coca-Cola did just this. We all know the famous Coke Christmas ad, the one that rings in the start of the season, but have you heard of the Coke virtual sleigh ride? Last Christmas, through Oculus Rift, thousands of people across Poland could take a walk (or should we say ride) in Old Saint Nick’s boots for the day. Whilst it doesn’t offer the same social pull as a 360 experience, it’s a festive step in the right direction. VR and 360 both have their benefits. To help you keep up, we’ve gathered together some of our handy tips to help you decide whether a 360 or VR experience is right for you. Know your audience – Is your product likely to be bought by the type of person that owns a VR headset? Perhaps they’re a younger audience with a social media presence, in which case a 360 experience could be the best route to take. Always tell a story – Successful examples of VR and 360 always feature an element of storytelling. Whichever tech you choose, it should be an experience for the consumer, not an in-your-face advertisement. Resources – Consider the medium wisely. For the time-strapped among us, VR could zap more of your resources. As well as being less budget-friendly, the development time of any VR experience is likely to be longer than that of a 360 video. Consider your budget and turnaround period when deciding which tech is right for your campaign. Make it interactive – Make it as interactive as possible. Even if you’re creating a 360 video, you could use gaze hotspots to guide your viewer round the video and create more of an immersive environment. VR and Advertising: Where does it fit in?